My Grandpa Simmons always had horseradish growing along a fence row. After his death we moved to his property and my dad continued the horseradish tradition. I really like the taste of horseradish. Horseradish is a true perennial in the garden along with rhubarb and asparagus, but commercial growers produce it as an annual. According to Tony Bratsch, former horticulture educator with University of Illinois Extension, home gardeners can get those large roots that are easier to peel and process by adapting the techniques that commercial growers use. Start by planting horseradish in the fall or very early spring. Use root pieces (sets) that are finger width in diameter and about 12 to 18 inches long. Till the garden and lay the sets horizontally, with the large end slightly elevated. Cover the sets with six to eight inches of soil, forming a ridge one to two feet wide. 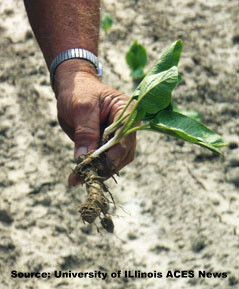 During the growing season, the plant will produce off-shoots above the ground. The goal is to grow the original set as large as possible, which can be achieved by either suckering or lifting. Suckering is done by removing all but one or two leaf shoots at the head end as they develop. Lifting is simply digging through the ridge and gently lifting the crown end with a hoe to break roots forming at the crown. Do this twice during the growing season. Once the top leaves are frozen in late fall, harvesting can begin. Dig the large central root and as much of the secondary root system as possible. 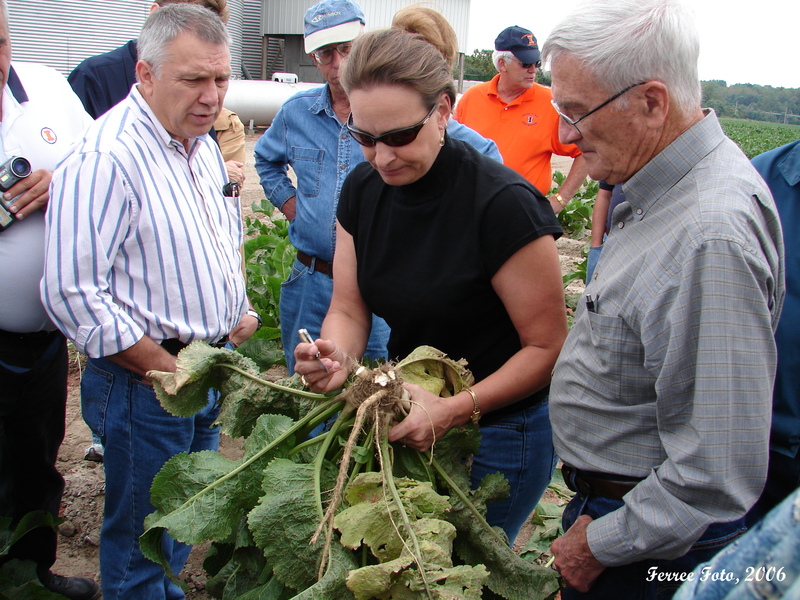 Be sure to save side roots for planting the next year's crop. Dug roots can be stored in the refrigerator for many months wrapped in plastic to conserve root moisture. Please beware when processing and grinding the root for home use. One year we did this in our basement without adequate circulation. Mom and I had painful, burning eyes from the vapors emitted while grinding. I don't have enough space here to give complete instructions, but basically the root is washed, peeled, and ground to the desired consistency. Distilled vinegar is added at the proper time to stabilize the hotness. Store in the refrigerator or freezer. Did you know that more horseradish is grown in Illinois than any other place in North America? Most of it is grown in southwestern Illinois in Madison and St. Clair counties, but in recent years some of the crop has moved to Mason County. I think I'll use some horseradish to zest up my next sandwich! How about you?